Apparently some think Junior Hockey on an international rink is better development than the best level of hockey in the world(NHL). Sorry but it doesn't match up as it is still 2 levels of hockey below the NHL standards set. It's a few games of NHL hockey he misses in exchange for being in big game situations. Something he won't get as part of his Flames development for several years at this pace. If you want a team of losers, then this is a good call. If you want to bring in some winning mentality, then this is a bad call. If Gio gets the call for the Olympics are you going to shout that down and say no, it's below NHL level so he's wasting his time there, risking injury. Is Baertschi wasting his time on the Swiss team for the Olympics? Or Hudler + Smid for the Czechs. After all, winning 15-0 against Kazakstan is a waste of time right. Would be better off working with Flames trainers. Sorry Geos but comparing the olympics ti the WJC is just retarded. Not saying you are just the notion is. For one the olyimpics you have the best players in the world at the event, and in the WJC you have the best 19 year olds. As for not letting Monahan go I for one was hoping that he would go. But in no way does it hinder his development to keep him with the Flames. The level of play is so much higher at the NHL level his learning curve has to be higher. Yes it could ( not a absolute fact) do wonders for his confidence. Another concern is with his injury as it stands. If you are the Flames do you want a player coming off a injury to be lent to another organization for a few weeks or would you rather have your own team be the ones looking after it? So say he gets loaned to team canada and in one of the games he gets hit in the same foot and hurts it again. Are they going to take all the right precautions? Monahan has shown that he can play in the NHL. Does he make mistakes ? Absolutely. Does he have good and bad games? Yes. Bottom line is : Monahan showed he could play and be a important payer for the Flames right now So why should we have to send him to the WJC For him to have a winning attitude? This to me makes no sense. The WJC is not a sign of who is going to be a guaranteed great player. I know there's a lot of geologists in town, but for the love of mother, could the two of you even attempted to pick slightly different usernames? 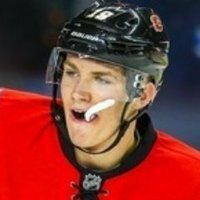 Would Sutter use Monahan as a #1C at the Worlds? Would Sutter just use Monahan as the shutdown C? I think Sutter would use Monahan in a checking role because he's the type of player who would do anything for the team and thus, Monahan wouldn't be used how we'd want him to be used. He'd not get the points and he'd be used as the shutdown guy. If it helps Canada, fine, but I don't care that he's not at the Worlds. Like a few are saying here. He's better served as a Flames player. I just think he'd not be the shining player we think he would be because of the way Sutter would use him. Do we even know if Sutter would actually take him? I think a lot of us are just pissed off that he doesn't get to be the star at the WJC. Sure he'd feel what it's like to win there. Add me to the list of geo's in here & I did pick a different username. I am no geologist, nor is that where my username comes from. However, I do enjoy geology. So you've disguised it with a lawyer's username? Or are you the one that killed the ducks? I know re joking thats cool. but if you are old enough to remember early AC/DC you might come up with one reason why I chose the Handle DirtyDeeds. However it also goes back to an old BBS I ran out of my home in 1987ish and a game called Tradewars 2002 where I first used this handle for gaming and online things. That's what I figured when I joined the board. Soon as I saw that handle the song popped into my head. I think there's a SinCity (or something to that effect) on here as well. If you don't like AC/DC, you've got no business being at a hockey game. It's probably too late now for them to change their mind, and I doubt they will anyway. You never know. I'm sure Sutter would have no issue making room for a stud center who's been lighting up the NHL as a rookie. It would be in the best interest of both Hockey Canada, and Sean Monahan. Don't tease, There's plenty of people around here that would love for that too happen. Yeah, we'll see what Burke thinks I guess. Hopefully he is healthy and can go. Millions interview Burke and asked him directly. Burke said no he is not going. Sorry to burst the bubble.